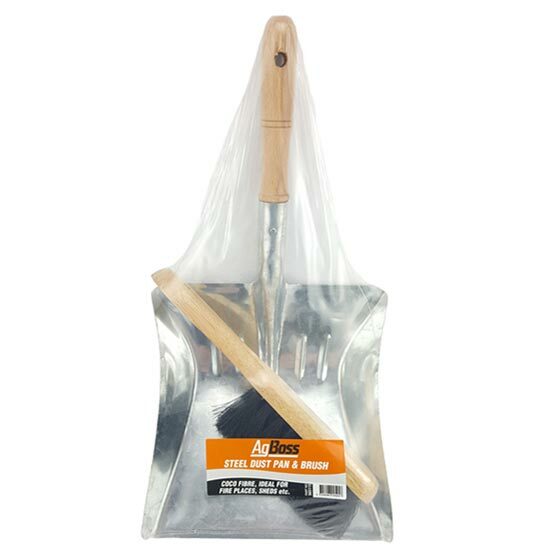 Dust Pan & Brush Set Steel AgBoss : BCSands Online Shop - Building and Landscape Supplies, we supply Sydney's best! An ideal metal dust pan and bannister brush to sweep ash from your fireplace. Dust pan is robust duty and bristles on the brush will not melt on hot coals.